ermil9532 has no other items for sale. 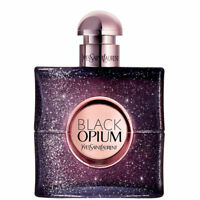 Details about Black Opium Yves Saint Laurent YSL 3 oz - 3.0 Womens EDP Parfum Perfume NEW BOX! PERRICONE MD - LOT OF (2) ACYL-GLUTATHIONE EYE LID STRUM - .25 oz. ea.